Roker Point Estates, the island of Exuma’s newest residential development, employs a secret weapon for convincing potential home buyers that their island is a magical place to yacht, explore, and reside. A majority of Roker Point clientele choose this 58-acre oceanfront community because they enjoy or envision a yachting lifestyle. 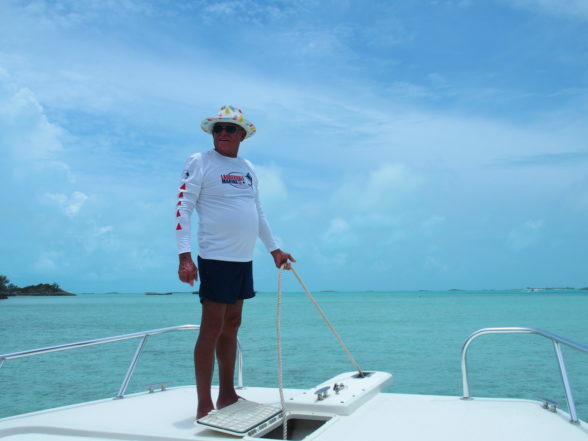 Who better to show curious newcomers every inch of Exuma’s 365 gorgeous islands than Jerry Lewless, the 82-year-old Captain of Roker Point’s 36-foot Catamaran. Lewless is arguably the longest-running boat captain in the world. Spend a day aboard Lewless’ pristine catamaran and expect to be “wowed” by his treasure trove of sailing stories, celebrity friendships, and insider revelations on his beloved Bahamas. 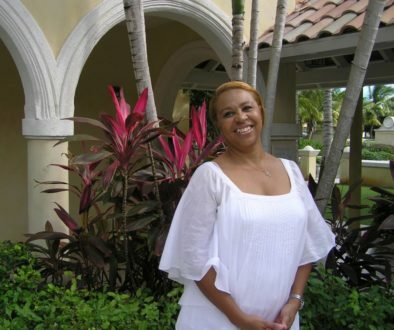 Lewless is the perfect ambassador for escorting Roker Point clients on four or six-hour tours of Exuma’s spectacular chain of cays. 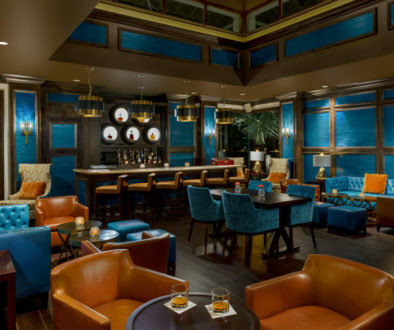 If clients are undecided on this ultra-turquoise setting before hooking up with Lewless, Captain Jerry wins passengers over with a colorful narrative featuring sailing, pirate, and fish stories. If there are six degrees separating Kevin Bacon from the rest of the world, after a Captain Jerry catamaran tour, most sailing passengers believe Lewless is connected to anyone who lived, breathed, and sailed near the Bahamas. As a reference point regarding how far back Captain Jerry’s sailing days go, consider he first captained a boat at age 14, or as he tells it, “I was so young I still had milk around my mouth.” Lewless’ first fishing customer didn’t take the barely teenaged Lewless seriously on his fledgling run. That is until Lewless extended his hand and said, “If you don’t catch fish, you don’t have to pay.” The rest is Lewless sailing history. 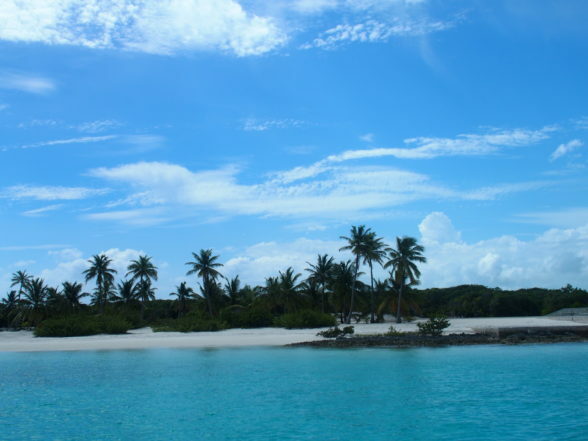 Captain Jerry’s current clientele pay a pretty penny for a guided tour along his native and scenic Cays. That’s because Lewless has a highly touted reputation as not only one of the most well-informed Caribbean captains, but also someone with an uncanny instinct for dodging inclimate weather. When a Minnesota couple inquired about a dark cloud that was keeping pace to the east, Lewless said, “Don’t you worry about that. Let Captain Jerry take care of the weather.” Roughly 30 minutes later the Roker Point Catamaran was sailing under perfect cloudless skies. 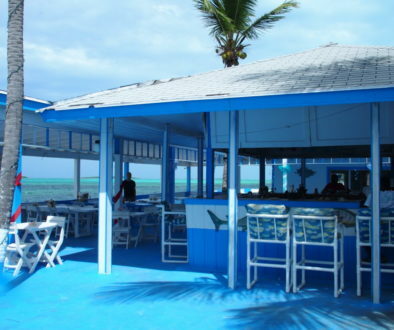 Perfection is a splendid word for describing Lewless turquoise playground. 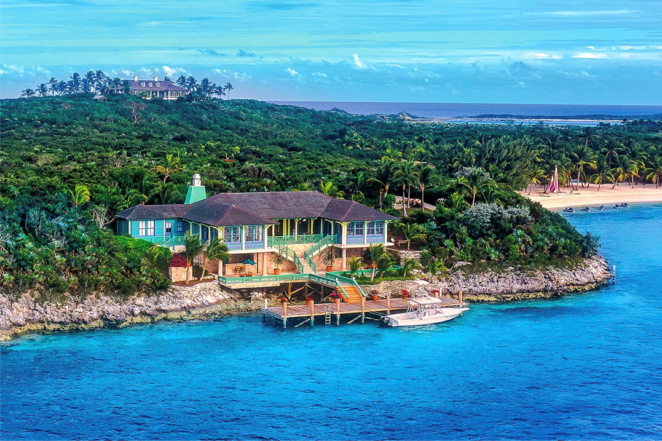 A handful of the richest people in the world fall so in love with the beauty and privacy offered by the Exuma Cays, they don’t just buy a home, they purchase an entire island. During his tours, Lewless points out the private islands of country western stars, movie directors, magicians, and business tycoons. Captain Jerry’s boating prowess has been called on to personally guide these deep-pocketed individuals around the waters that he’s called home for decades. Lewless holds most stories regarding the rich and famous close to his tanned chest. Others are spun matter-of-factly. Lewless was tapped by Howard Hughes to take Ava Gardner water skiing. When Johnny Depp needed a place to stay during Pirates of the Caribbean movie series, Lewless housed the star in one of his villas. When David Copperfield wanted to explore the Cays for a private island he’d call home, he found Captain Jerry to show him around. 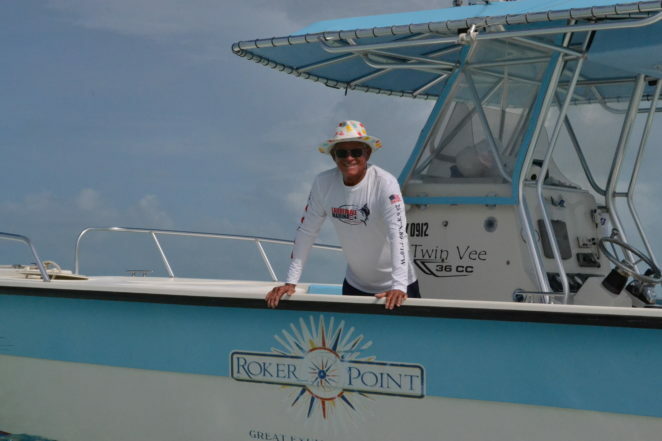 A Roker Point developer met Lewless 30 years ago in Nassau, and never forgot his level of boating expertise. 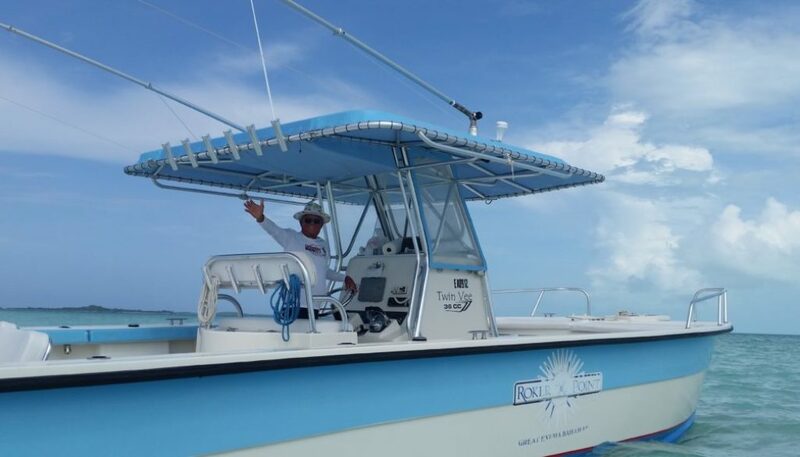 When Roker Point Estates decided a classy boat for client hospitality purposes made sense, they not only chose Lewless to represent their real estate development and marina, they let Captain Jerry handpick his favorite brand of catamaran. “I’ve been sailing Twin Vee catamarans for years. In fact, I quality test several of their lines. For as much time as I spend on the water, I want the smoothest sailing boat there is,” Lewless said. On the way back to the Roker Point Marina, Lewless asks his Minnesota guests if they’d like to experience the Question Mark Sandbar. Even though the Roker Point catamaran is in the middle of the Atlantic, the Minnesotans jump off the boat into three feet of water. 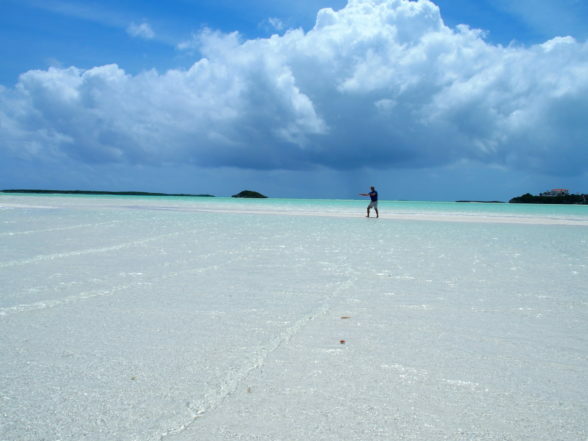 The couple experiences a photo opportunity for the ages as they step out on this this half-mile long, pure white sandbar surrounded by electric turquoise water. Captain Jerry can only beam in their joy as they return to the catamaran.